The big dog of hip-hop continues his mission to rid the world of crappy audio cans - one head at a time, and there is a variety of 'Beats' for every type of head out there. We're looking at the most valuable player of them all (in this range anyway) the Beats Pro. Big in every sense, these headphones definitely let you know you're wearing them. Solid all metal construction on the body makes them feel a bit like you're wearing the world's most comfortable music enforcing helmet. Battle ready, they sit confidently atop your ears with only one mission: To look and sound good. 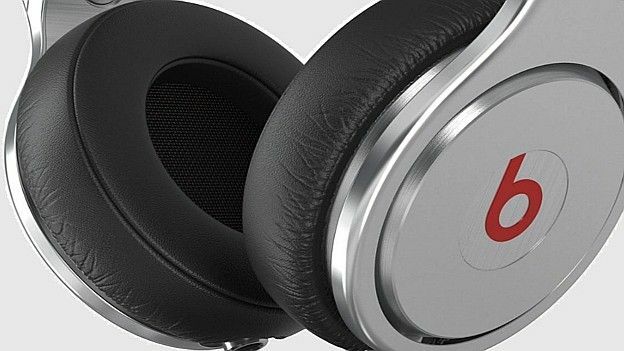 If you're not a fan of chunky headphones, then chances are you're not going to like these, but if you like your headwear to stand out, then Beats Pro will be right up your street. Out in the field is where it really matters, and the Pro's do a fine job. The isolation offered up is pretty good, keeping all the music inside those ever so comfortable ear cups. In fact so comfy and so isolated is the experience of wearing these with the juice turned up that you find yourself deeply immersed in your music, almost to the point of peril – be careful when crossing roads, or operating heavy machinery, with these on. Other features include a big fat chunky cable that is longer than most, including a handy coiled section to stop them being unceremoniously whipped of yer bonce. These also fold down neatly and include an extra output for daisy chaining with multiple listeners, though we're unsure how many listeners can join in before the signal level declines. The audio itself is equally pumped up, despite the packaging suggesting these are aimed at (hence the name) professionals. The reality is they are very much for those who want to hear the thump and crack of every beat and enjoy eyeball rattling bass delivery. Bass response, it's fair to say, is good, and for many that is enough to warm up the sound just nicely, it will be interesting to see exactly how many studio engineers plump for these over their existing audiophile cans. Expensive but with stunning audio, Dre's Beats are a superb buy.